Summary: In order to speed up the transformation of new and old kinetic energy in the whole district and promote high-quality development, on December 3, Jining High-tech Zone accelerated the transformation of new and old kinetic energy to promote the development of high-quality development special training classes, Yin Feng, Deputy Secretary of the Party Working Committee of Jining High-tech Zone attended and Speech, presided over by Shi Jun, Minister of Organization Department of Jining High-tech Zone. 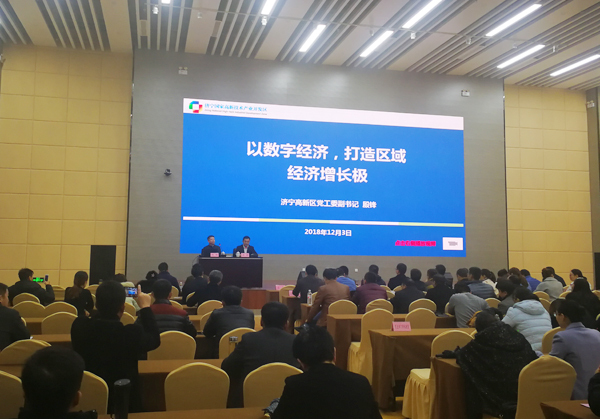 As a “510” project cultivation enterprise in Jining City and a key enterprise of new and old kinetic energy conversion in the high-tech zone, China Transport attended the meeting. Li Zhenbo, Deputy General Manager of the group, and Fan Peigong, Deputy General Manager, attended the training on behalf of the group. In order to speed up the transformation of new and old kinetic energy in the whole district and promote high-quality development, on December 3, Jining High-tech Zone accelerated the transformation of new and old kinetic energy to promote the development of high-quality development special training classes, Yin Feng, Deputy Secretary of the Party Working Committee of Jining High-tech Zone attended and Speech, presided over by Shi Jun, Minister of Organization Department of Jining High-tech Zone. 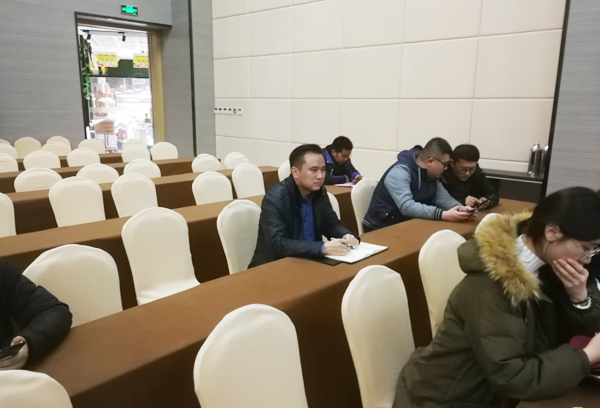 As a “510” project cultivation enterprise in Jining City and a key enterprise of new and old kinetic energy conversion in the high-tech zone, China Transport attended the meeting. Li Zhenbo, Deputy General Manager of the group, and Fan Peigong, Deputy General Manager, attended the training on behalf of the group. 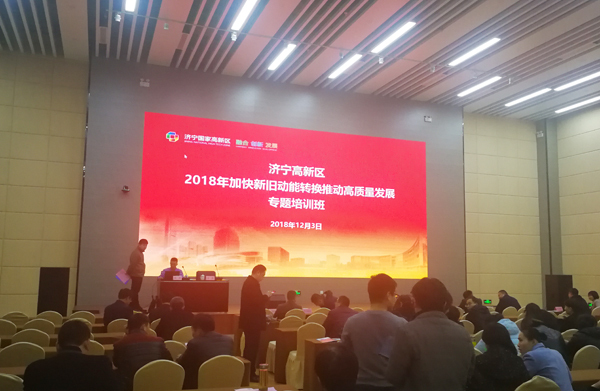 At the meeting, Yin Feng, Deputy Secretary of the Party Working Committee of Jining High-tech Zone, made a keynote speech on "Building Regional Economic Growth Pole with Digital Economy". He pointed out that in order to accelerate the transformation of new and old kinetic energy to transform the growth pole, the high-tech zone will focus on the development of the digital economy, vigorously introduce leading industries such as cloud computing, big data, artificial intelligence, etc., and strive to build a leading model area for the development of digital economy in Shandong Province and a benchmark for industrial digital transformation. The first zone provides a strong impetus for the construction of “Jining Jining” and “Data Strong City”. He demanded that all participating enterprises should focus on promoting "three times of entrepreneurship" as the general focus, develop high-tech, cultivate new industries, and gather new kinetic energy as the general direction, continuously transform and upgrade traditional industries, and promote industrial Internet and industrial big data. The coordinated development of industrial clouds has made due contributions to the high-quality development of the city's economy. In recent years, China Transport has responded positively to the “Enterprise Clouds” action plan, making full use of the government’s opportunity to issue “cloud service vouchers” to key enterprises, implementing financial subsidies, and increasing the “investment in the enterprise” information investment and speeding up Enhance the digital development level of the Group, and take the lead in the province in the use of big data and cloud computing to accelerate the transformation of new and old kinetic energy and promote enterprise transformation and upgrading. Among them, the industrial Internet platform of the coal machinery industry, which was independently developed and operated by our group, was listed as a key support project for cross-border e-commerce by the Ministry of Industry and Information Technology and a key platform for e-commerce in Shandong Province. It is to promote the transformation of enterprises and promote the new kinetic energy of enterprises. A positive contribution! General Li said that as the city's "510" project cultivation enterprise, the next step, China Transport will actively study and implement the spirit of the conference, with the digital economy as the driving force for innovation, and accelerate cooperation with the company such as Huawei Cloud and Jinshan Cloud to accelerate the data center room of the group. Construction, vigorously build cloud environment, cloud development, cloud application industry and service system, and lead the group's new development with digital economy!